Let's hope they punish those who ordered the police to kill citizens. It is a murder case so death penalty should be compulsory. It can be taken as an admission. moron. tahir ul qadri fired the shots? or ordered to do so??? 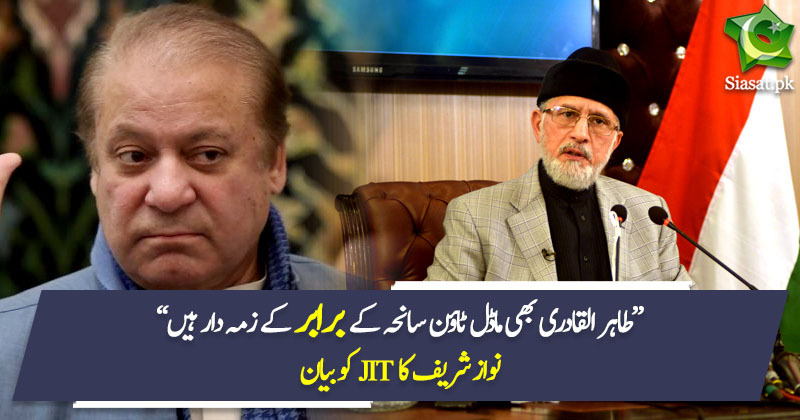 Uska naam qadri hey padri nhi.... padri lfz bohut pasand hey to apney baap ko bola kr kionkey padri ka mtlab baap hey. Me terey maan ki izzat loot loon to kia mazahmat krney pe usey b qasoorwar thehrao gey? Preplanned hamla tha SHAREEFON k order se. I firmly believe TUQ is equally to blame for similarities of Martin Luther King MAlcom X protest in 1950s.